IT創業者每每有種心態, 就是「自己的技術永遠是全行第一的, 客戶不幫趁/嫌貴是他的損失」. 這是一個常見陷阱, 抱著這個心態的話, 生意只會越做越少. 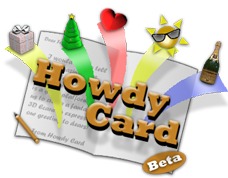 This entry was posted in 從錯誤學習 and tagged howdycard, web app. Bookmark the permalink.